Why You need Beautiful PPM Software to make it Stick! 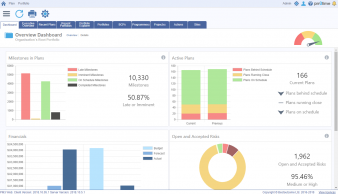 Why is beautiful PPM software essential to making your investment stick? Our in-house PMO expert David Walton explains in 3 minute read. Looking for an expensive PMO tool? Well, have you ever used a PMO tool that has been designed and built internally on Excel? In this blog, our in-house PMO expert David Walton highlights the serious limitations of relying on Excel as a PMO or PPM tool, and describes why you should advise against it wherever you can.